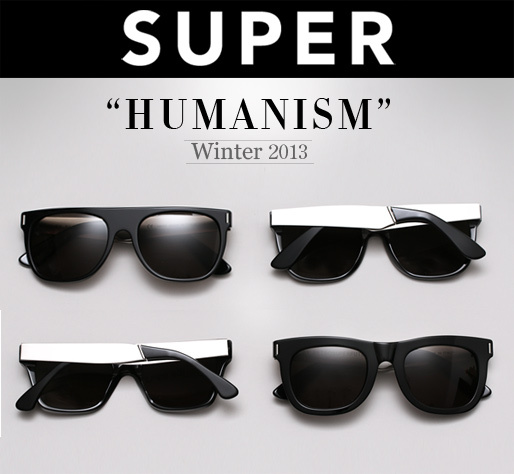 Just in time for the Holidays, SUPER sunglasses winter 2013 collection is now available. The second winter installment from their Humanism range is both concise and strong. It gives us some fresh new staples, such as the Silver Francis (black and silver) series, a much awaited brethren to the beloved Black and Gold’s. As well as technical firsts for the brand, such as full-on colored mirrored Zeiss lenses to keep cool while blocking out that harsh winter glare.